« Get Set for the 2017 Plymouth Folk and Blues Festival! The Vermont Woodworking and Forest Festival is an annual opportunity to shop for handmade furniture and other wood products with live music, demonstrations, and good local food. September 23rd and 24th, 2017 at the Billings Farm & Museum. 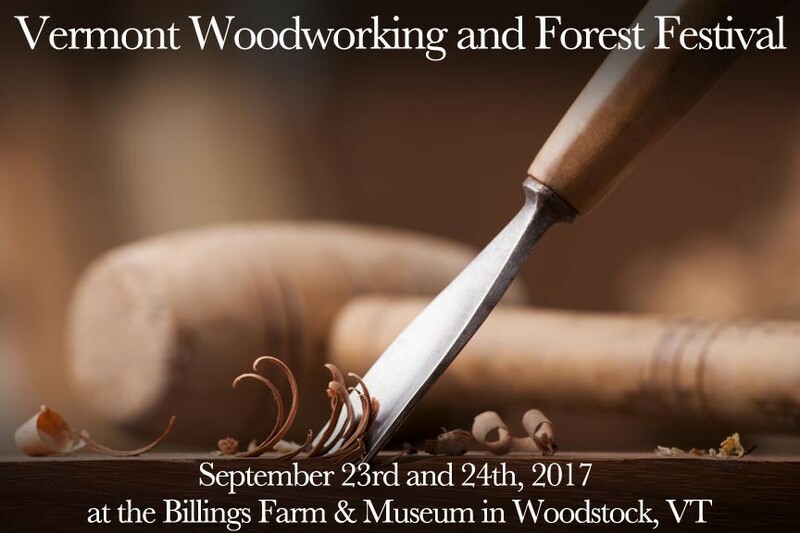 The annual Vermont Woodworking and Forest Festival combines the beauty of handmade wood items with the wonder of the natural world. Not only will you be able to meet Vermont wood artisans while shopping for unique, handcrafted items, you’ll also enjoy forest tours, hands-on activities, and more. Vendors will be on hand both days with their one-of-a-kind items. Wood carvings, cutting boards, turned bowls, jewelry, puzzles, boxes, toys, furniture and so much more! You’ll also witness modern and traditional lathe turning techniques by professional wood turners. The festival is a great chance to get an early start on your holiday shopping. Vermont Woodworking and Forest Festival also means a chance to explore and enjoy Marsh-Billings-Rockefeller National Park. The cows, horses, sheep, oxen, and farm life exhibits at the 1890 Billings Farm & Museum are always fun to visit. The festival also includes live music by local, Vermont musician, J. Michael Kelly! Don’t worry about getting hungry, either. This year’s festival features wood-fired pizza by Woodbelly Pizza – Yum! Don’t miss it! Visit www.vermontwoodfestival.org for directions and more information. No matter what brings you to our neck of the woods, consider a stay at Deer Brook Inn! Our Vermont B&B is a charming and historic with 4 spacious guest rooms and suites conveniently located in Woodstock, VT. Book your stay at Deer Brook Inn today!